I'm always hearing about how my brain doesn't work right...But it doesn't feel broken to me. Olivia Donatelli's dream of a "normal" life shattered when her son, Anthony, was diagnosed with autism at age three. He didn't speak. He hated to be touched. He almost never made eye contact. And just as Olivia was starting to realize that happiness and autism could coexist, Anthony was gone. Now she's alone on Nantucket, desperate to find meaning in her son's short life, when a chance encounter with another woman brings Anthony alive again in a most unexpected way. 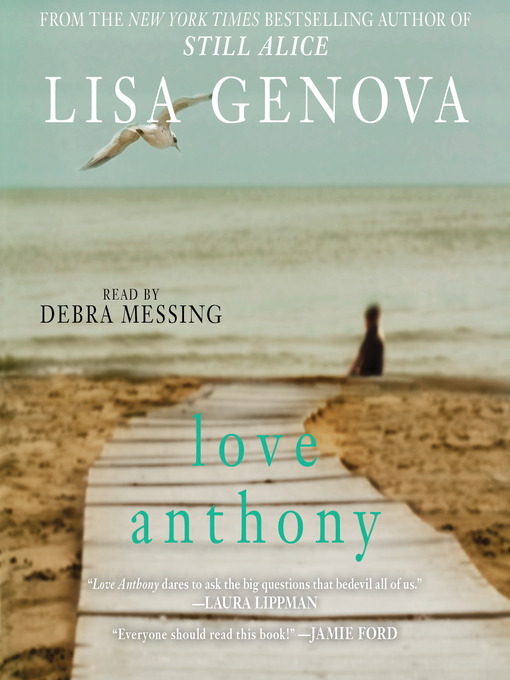 In a warm, deeply human story reminiscent of The Curious Incident of the Dog in the Night-time and Daniel Isn't Talking, New York Times bestselling author Lisa Genova offers us two unforgettable women on the verge of change and the irrepressible young boy with autism whose unique wisdom helps them both find the courage to move on.